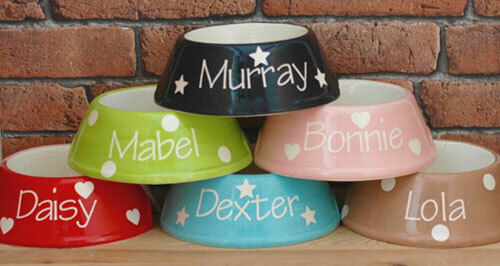 Stunning hand painted ceramic retro dog bowl featuring your dog's name. The pretty block colours with white dots is reminiscent of those fabulous retro plastic drinking cups we all had in the 70s. 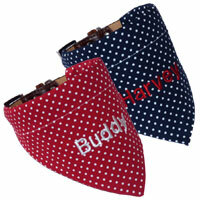 Or choose hearts or stars for a modern twist. 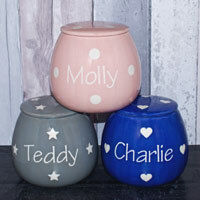 These will look superb in your home and they are personalised, which makes them extra special. 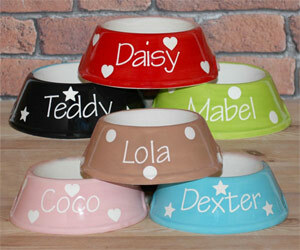 These classic slanted dog bowls make fantastic gifts for dogs and dog lovers. Hand painted in the UK. 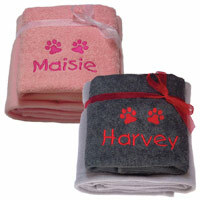 Personalised with your dog's name or short text of your choice. Each bowl is then glazed and fired for a quality lasting finish. I was thrilled with the dog bowl. 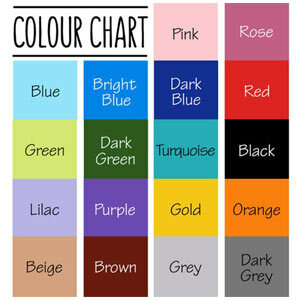 It is perfect and has been admired by many. 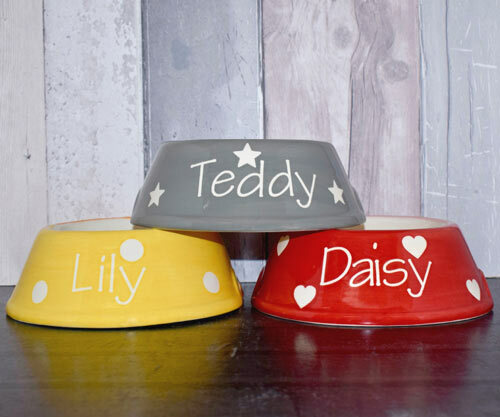 I ordered 2 bowls in different colours and am very happy with them, the colour is true to the picture and the bowls seem a very good quality. 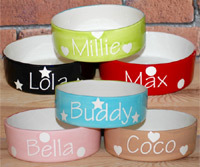 The small size is just that and I will certainly be back for a larger one when my puppy's dinner gets too big. Very pleased with the final product when it was received. It looks great and our dog loves it! 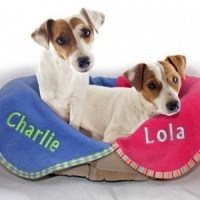 Thank you so much and it was delivered on time too Highly recommend to anyone who loves to spoil their pets!